Cyber Monday is the big online shopping follow up to Black Friday. The two sales used to be segmented between online stores and brick-and-mortar, but there is plenty of overlap these days. Black Friday obviously started out as the big sale day. But Cyber Monday has grown in importance over the years as online shopping has grown. 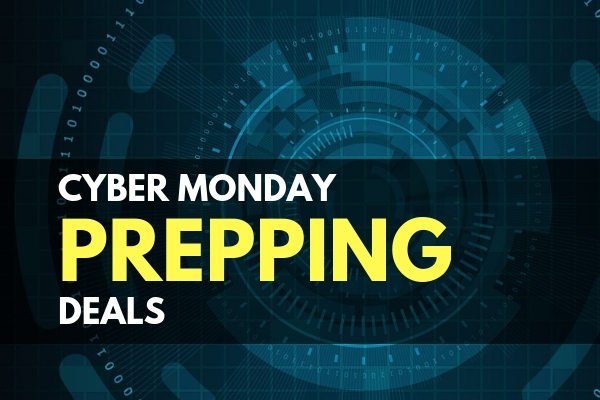 Cyber Monday prepping deals are just as good as Black Friday sales, especially online. The biggest (and best) difference between Cyber Monday and Black Friday is that with Cyber Monday there are no crowds. You won’t find mobs of people online and you won’t have to wait in the cold to be the first in a store. Shop online at home and get just as good deals. We go through the ads to find the best deals of the holiday to get you prepared for Cyber Monday. BattlBox is always gets you good gear, and it makes a great gift. We usually don’t find them on sale, so it is nice that they are running a 20% off sale for Cyber Monday. 20% off may not seem like much at first, but if you sign up for the subscription without cancelling, that is 20% off your subscription! That’s not just saving money once like a normal sale, but saving you money indefinitely. Legacy Food Storage killed it with their Black Friday sale, and we’re sorry if you missed out! They are still running the sale, but most of their kits are sold out at this point. Luckily, they aren’t out of stock of everything: the larger kits are actually some of the better deals and you won’t find a better price all year. Amazon is still the titan when it comes to Cyber Monday. They ramp up to it earlier and earlier every year, but they still hold the better sales for the day itself. The TVs and electronics are some of their most popular items on Cyber Monday, but there are tens of thousands of items on sale. I prefer to select ‘sporting goods’ or ‘home improvement’ categories to find all of the great survival and prepping gear that they list. Survival Frog has tons of survival gear for dirt cheap, so when they run a sale you can find some stuff at ridiculously low prices. They are running their sale from Black Friday through Cyber Monday. It doesn’t really matter to them, since they are an online-only store. And even a tactical stocking (under $8) for those that have everything! We hope everyone had an awesome Thanksgiving and was able to spend it with family and friends. 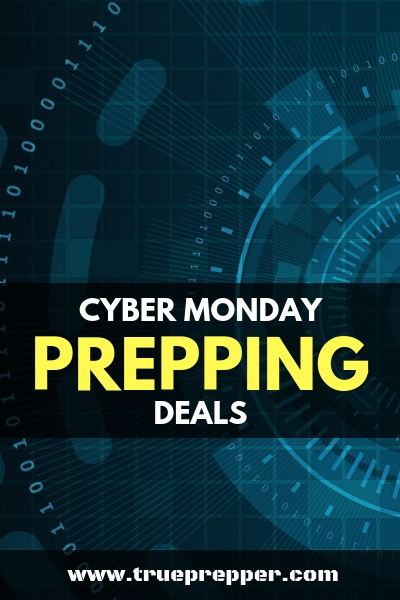 Great prepping deals are in abundance this year for Cyber Monday, and we hope that by making this list your shopping will go smoothly so you can get back to enjoying family and friends. Keep exploring, stay prepared, and be safe.